From the New York Times bestselling author of The Program comes a haunting, romantic, and suspenseful story about one girl’s search for healing in a grand and mysterious hotel full of secrets. And the 13th chapter will only add to the mystery behind the 13th floor of Hotel Ruby...and ultimately, what it means for Audrey. The treetops curve above the road like an archway, blotting out the moon and stars. We’ve been driving through these woods for close to an hour, and our car headlights shine only a short distance in the thick fog. I glance into the backseat to check my older brother’s current state of annoyance, but Daniel hasn’t spoken to me since the rest stop near Vegas. He stiffens, aggressively ignoring me when he turns to face the dark outside the window. The air in the car hardens to cement and I still, the mention of my mother too taboo to slip into conversation. I hear Daniel shift in the backseat, and the tension tightens around me, a vise clamped on my heart. Just when I think I might choke on the grief, my father reaches to flip on the stereo, startling us from the quiet. I stare out the windshield, my eyes stinging. I don’t dare blink hard enough to let a tear fall. Normally, I’d turn to Daniel, but we’ve run out of comforting things to say. Now the words feel false, hollow. So neither of us bothers to speak them anymore. My brother knows this trip isn’t entirely my fault. I’ve made mistakes since our mother died, but I’m not the only one. Daniel’s coping mechanism is to deflect his grief, his resentment; and sometimes he hurls them at me. But our father, well, he’s just lost altogether. Now Dad is sending us to live with our grandmother, uprooting us from Arizona to Elko, some small town in northern Nevada. He claims it will be a “fresh start,” but really, he’s the one who plans to start fresh, leaving us behind with a DNA-matched stranger. Truth is, Dad stopped seeing us. He looks through us like he can’t bear our resemblance to our mother. Like we’re invisible. Daniel and I have lost both of our parents, even though one is sitting next to me now. “Can I change the station?” I ask. My voice is thick, and I realize I haven’t spoken out loud since we left Vegas. How’s that possible? My dad glances over, seeming just as startled by my voice, and gives a quick nod. Daniel shifts in the backseat as I start pressing and then re-pressing the scan button, searching for a clear station. My iPod died nearly a hundred miles ago, and I haven’t had a chance to charge it. I’m at the mercy of the DJ gods, and they have not been favorable toward me. The radio search is met with static, save one channel that’s playing old jazz. I take a spin through the stations again. “Hey, Aud,” Daniel calls. My heart skips a beat, and I look back at him. He’s our mother’s reflection—platinum hair, blue eyes. It still startles me. “Can I have your Snickers bar?” he asks. I choke on a laugh, covering my smile because this is Daniel’s way of apologizing. I shouldn’t give him the candy, not after he told me to shut up outside the dingy rest stop bathrooms. I’d made the mistake of mentioning our mother. I’m not sure why I did it, especially since I know Daniel hates when I do. I guess I just miss hearing the word “Mom” without the words “I’m so sorry” connected to it. Once in the car, Daniel muttered from the backseat about my selfishness: “Ask Ryan,” he said, thus beginning our silent war. But Daniel’s my brother and he’s the only person left in the world who cares about me. That deserves a candy bar. I grab the backpack at my feet and dig through the front pocket until I touch the softened chocolate. I toss it to him, and he nods his thanks, our temporary truce enacted. The weight of tension has lifted, and I expect my father to be lightened by it. But his face is determined; he’s focusing on his plan so the ache won’t set in. He wasn’t always like this. I can’t pinpoint the exact moment he changed, but it was a swift progression. We were all too distracted to notice. I was busy self-medicating with all manner of troublesome behaviors; Daniel was retreating into avoidance and denial. We had no one to hold us together. And after my father walked in on a spectacularly raucous party I was throwing, he seemed to calm, to steady himself when really he should have freaked out. Grounded me for twenty years. Instead he came up with a plan. My mother’s mother is nearly eighty, and I can’t imagine she wants much to do with a rebellious seventeen-year-old girl or her selfish older brother. We’ve met Grandma Nell only a handful of times, none of which was particularly endearing. It didn’t matter, though. Because that night, sitting in Daniel’s dark bedroom, my brother and I figured she was the only person willing to take us in. Dad was giving us away. Giving up. But now that Daniel’s eighteen, he promises to bring me with him when he gets enough money to take off on his own. Although Dad puts on the ruse that he’s coming back, we know he’s not. I lower my head. At first I’m overwhelmed with betrayal at my grandmother’s decision to give Daniel the connection to my mother’s childhood instead of me. Locking me in an attic like a character from a V. C. Andrews novel. But when I can stand the pain, I turn and find Daniel watching me, his jaw clenched; the expression that tells me not to worry. We won’t be there long. Even if it means running away. I glance at the radio again, about to continue my rhythmic pursuit, when I notice a red light above the CD player. I can’t recall a time when I listened to a CD in this car. Normally, I’d have my earbuds in, or nothing at all. Curious, I switch the mode and watch as the dash flashes PLAY. I press it, but at first I’m met with silence. I’m about to skip to the next song when chords blast from the speakers, ten times louder than anything on the stations. I jump and then laugh, looking at my father. He doesn’t react, though; he’s not paying attention. He’s lost in his head again. The song is an oldie, one I vaguely remember my mother enjoying. When I realize her connection to it, I reach to lower the music, unable to turn it off altogether. I don’t mention the song, content to spend the remainder of the drive in emotional isolation, much like the last three months of my life. I close my eyes and recline the seat, opting for the escape of sleep. The seconds tick slowly by, my inactive thoughts always haunted by my last moments with my mother, the way I took her for granted that morning before she left for school. She was a counselor at my high school, beloved. Respected. And I sent her away to her death without so much as a good-bye. I clear my throat and turn in my seat, restricted by the seat belt. I unfasten it to get comfortable and then force down my sorrow. Stop thinking. I let the song lyrics flood my mind and wash away my mother. And in the absence of pain I finally drift off to sleep. It might have been only a moment or an hour, but when I hear the clicking of the blinker, I sit up, slightly disoriented. “We’re here,” my father says in a tired voice. I’m stricken for a moment by the glistening of tears on his cheek. He wipes his sleeve over his face and then takes a hard turn that knocks my shoulder into the door. There’s a pathway into the trees, a road covered in debris of broken branches. I’m about to ask my father where the hell he’s going when a set of open iron gates appears in front of us. They’re ornate and oversize. Beautiful. Golden lights wrap their way up the tree trunks and illuminate the drive, now cleared. We pass the courtyard, a circle of stone benches and statues, low manicured shrubs with tiny lights brightening everything. But when the hotel itself comes into view, Daniel leans between the front seats. Here, in the middle of nowhere, is a grand building—lit up at 3 a.m. like it’s New Year’s Eve. A white stone front, huge archway with ivy crawling up the walls. I can’t help but smile as we park at the entrance. “I’m exhausted,” my father says. “And when I saw the sign for the Hotel Ruby, I thought we could splurge for the night.” I see a shadow of my father, of who he used to be. “Think of this as our family vacation,” he adds. “Well, in that case I want my own room,” Daniel says from the backseat. Our father sniffs a laugh, and agrees. He turns off the engine just as a guy in a burgundy uniform approaches the car. Daniel disappears into the back of the SUV to grab his suitcase, and I tug my pack onto my lap when the driver’s door opens. “Welcome to the Ruby,” the guy in red says. I can’t quite place his accent, but he’s handsome—dark hair and dark eyes. He glances inside and notices me. “Can I help with your bags, miss?” His lips curve with a smile, and I’m not imagining that he’s flirting with me. But I’m disoriented from the drive, from my father’s behavior. I shake my head no. He comes around to open my door, and I’m aware of how close he’s standing when I have to dip under his arm to get out. The guy helps to load bags onto a gold rolling cart, and my father tips him a fold of money before opening the massive wooden doors. I glance back and find the valet waiting. He smiles again, his chin lowered as he watches me. I quickly turn away, an uneasy feeling crawling up my arms. The lobby is an explosion of grandeur: rich wood furniture, fringed velvet fabrics, and an impossibly large chandelier hanging above it all. Paintings and tapestries decorate the walls, which must be at least three stories high. I turn to Daniel and he smiles—an actual smile. “Guess I should have worn my clean hoodie,” he mutters. I laugh, because Daniel would certainly destroy anything he put into a washing machine. But secondly, he’s taken to calling our strict old grandmother Nana. I can’t wait to see her face when he lays that one on her. Dad stops at the front desk, Daniel and I behind him. There’s a haggard desk attendant in the corner, tapping the computer keys while he surfs the Internet. He doesn’t even lift his head to acknowledge us. I clear my throat to get his attention, but when he still doesn’t respond, I sigh and lean my elbow on the counter and glance around the lobby. I’m on sensory overload, unable to take it all in. I feel completely out of place here, especially in regular clothes. I should be wearing a cocktail dress, a ball gown maybe. Suddenly a door the same color as the wall opens from behind the desk, and a bald man with a small, pleasant face walks out. He glances in the direction of the other attendant, but the guy is gone. I didn’t even see him leave. “Morning,” I correct. The man turns to me, giving me a quick once-over, as if he’s not exactly sure he wants to answer. I read his name tag: KENNETH—CONCIERGE. “So it is,” he responds with a chuckle. Before he can ask, my father places his license and credit card on the counter. Kenneth nods politely, reading the name. He takes a moment to study me and Daniel, and then leans over the counter toward my father. “I apologize in advance, Mr. Casella,” he says. “It seems we are overbooked tonight.” He pauses, as if waiting for me to interject that it’s morning. I can’t imagine what they would want to change about a place this beautiful, but I’m grateful that we won’t have to spend the night in some sleazy motel along the interstate. Kenneth’s fast-talking, smooth voice continues to dominate the conversation. Within seconds my father’s agreeing before even finding out the price. “Fantastic,” Kenneth says, clapping his plump hands. “Joshua is dropping off your bags as we speak. We have a variety of amenities for you to enjoy during your time here. There’s an on-site restaurant and gift shop, a salon and day spa. Out through the garden doors”—he motions to a set of glass doors—“is a café, and just beyond that are the tennis courts. There’s an outdoor pool, a recreation room with billiards, and, of course, our theater. This is a current list of our movies.” Kenneth hands my father a brochure and exhales, finally taking a break from his monologue. I widen my eyes and reach to slide my keycard off the desk. Kenneth watches me, and then after a moment he turns and disappears behind the small door once again. “Daniel,” my father warns, but I see the hint of a smile on his face. This hotel has put us all in a good mood. It’s almost enough to make us forget why we’re here. Beyond a set of oversize doors in the hallway, music drifts in, soft piano playing and lounge singing. There is a gold stand with a sign that reads ANNIVERSARY PARTY—1937 set out in front. Must be a rager, because I don’t know who would be up at this ungodly hour for an anniversary party, or why the hotel would allow it to go this late. Aren’t the other guests sleeping? “I’ll see you later,” Daniel says, tugging on my sleeve. Before I can ask where he’s going, he crosses the lobby, turning back once to wave to me. My father calls my name from the golden doors of the elevator, waiting. We ride without a word. It’s rare to spend any alone time with my father. Even these few minutes pass awkwardly, as if he were a complete stranger. The bell for the sixth floor dings. My father murmurs his good night and then walks out. He pauses and turns to me. In his eyes is the beginning of an apology, and I open my mouth to ask him what’s wrong. But the doors close, leaving me all alone in the elevator. A nagging starts in the back of my mind like something I’ve forgotten, but then the elevator doors slide open, revealing the thirteenth floor. I step out. The hallway, long and ominous, has a burgundy-patterned floor, dark wood paneling on the walls. It’s beautiful, but at the same time it feels . . . heavy. Like the air is too thick. At the end of the hallway, above a glass table, is an oversize gilded mirror. I catch my reflection—my light ginger hair tied in a knot, frizzy along the crown from travel, my long-sleeved T-shirt casual and worn; I’m completely out of place among the old-fashioned decor. The familiar image comforts me, I realize, and I battle back the chills that are trickling over my spine. Room 1303 is at the beginning of the hallway, and I take one more glance around before unlocking the door and going inside. When I flip on the lights, I gasp and cover my mouth. I think I’ve just won the hotel room lottery. It’s gorgeous. There is an elaborate sitting area (is that a fainting sofa? ), with vintage furniture in bold patterns, stained-glass lamps, and an intricately carved wood table. The bed in the corner has a fluffy white comforter and large, overstuffed pillows; the posts frame the mattress and curve over the top. I wander around the room, struck again by how incredible this entire hotel is. When we traveled as a family, before, we were thrifty. The only time I’ve ever stayed in a nice hotel was when Ryan took me away for the weekend. I still loved him then, still thought we’d end up married, high school sweethearts just like my parents. I lost my virginity on the twenty-second floor of a Marriott. This is so much better. I drop my bag next to the bed and find a single rose lying across my pillow with a wrapped chocolate. The red of the flower is lush against the starched white fabric, and I pick it up and smell the petals. They’re sweet and powdery. I wonder momentarily if I’m still in the car, dreaming. After the obligatory bounce on the bed and check of the bathroom, I decide that despite the late hour, I can’t sleep. Not when there’s so much to explore. I quickly brush my teeth, take down my hair, and reapply deodorant. There was music downstairs—familiar music. There has to be people. I put on some gloss and slip my keycard into the back pocket of my jeans and head to the lobby. The lobby is deserted when I walk through, but the bored desk attendant has returned to his computer duty. I wonder if he was reprimanded for ignoring us earlier. By his lack of attention now, I guess not. The music leads me forward until I’m at the entrance of the grand ballroom. It sounds like a serious after-party on the other side of these doors. I look around, my heart racing, and then push my way inside. There is, indeed, a party. And not a few drunken late-night castoffs, either. I spin, trying to take in all the sights at once. The room is three stories tall, with massive chandeliers, golds and yellows splashed through the room, heavy deep-red drapes framing the doorway. On the walls are panels of intricate tapestries, gold frames. There are private alcoves with benches carved into the wooden walls, guests sipping from fancy glasses. All around me are sequins and bow ties. On the low-rise stage a distinguished-looking older man plays the black baby grand piano while a woman in a gold dress sings along. The words seem slightly familiar, although off somehow. But the singer’s voice is amazing—haunting and soul scratching. I want to people-watch, so I go to find a space in the alcove, smiling as the world twirls around me. A server in a black tux comes by and offers me a drink, bending low so I can take the glass from his tray. He smiles at me, much like the valet, and then disappears back into the crowd. This must be how celebrities live—all-night parties, free drinks. I sip from the glass and the champagne bubbles tickle my nose. My father would kill me. I stop. Would he? Would he even care at this point? “Is it casual Friday already?” a voice asks. I turn just as a guy about my age sits down. He’s wearing a sharp gray suit, and when he crosses his leg over his knee, I see his shoes are impossibly shiny. He’s not smiling, not like the others, but there is a definite hint of flirting in his amber-colored eyes. The guy laughs, genuine and hearty, and I like the sound of it. In my world of constant faking, he’s showing me the first authentic joy I’ve seen in a while. I sip again, wondering how much champagne I’d need to forget everything but him. He laughs again, and the skin crinkles around his eyes, his dimples deepen. His smile is absolutely disarming in the most wonderful way. “Elias Lange,” he says, holding out his hand. “Fancy,” I tease, and slip my hand into his. Rather than shake it, he brings my fingers to his lips, kissing them politely. The heat of his mouth nearly makes me swoon, and when my hand falls back onto my lap, I’m entirely self-conscious of it. As if Elias has brought that particular body part back to life. He smiles and gazes out at the party, seeming to realize his effect on me. “Same party every night. It’s what we do here.” He loosens his tie and then reaches to grab a glass from the tray of a passing server. “We? Do you stay here a lot?” I ask. I plan to tell him no because I don’t typically run off with complete strangers after a three-second conversation, even if he does own a suit, but my response is cut off. “Eli,” a girl calls loudly, and then pauses to stand in front of me. She pretends I don’t exist as she speaks. “I thought we were going to dance,” she says. Her pink lips pout in a childish way I find obnoxious, and from his lack of attention I’m guessing Elias does too. Despite her behavior, the girl is stunning, a vision in a white, sparkly dress, with snow-blond hair framing her face. Catherine’s small blue eyes tighten to slits. She spins to face me as if I’ve spoken. Her glare shoots splinters of ice, stabbing me all at once. “Who are you?” she asks. Wilting, I try to take a sip of my drink without letting my trembling hand spill the champagne. “I’m Audrey,” I respond. Elias shifts next to me like he’s about to step in. I hope he does before this girl scratches my eyes out. To this, Elias chuckles and lifts his glass. “Cheers,” he says, and drinks. “She’s something,” I agree, watching until Catherine disappears from the party. The minute she’s gone, I relax slightly. Around us the conversations continue; the music plays, and I’m close to figuring out the melody. I laugh, thinking he’s pretty adorable. But still, I’m not an idiot. He’s a total stranger, and even if he weren’t, I’m not exactly in a dating frame of mind. “No, thanks,” I say. Elias doesn’t appear surprised by my rejection; in fact, he seems to appreciate it. He tilts his head, sliding his gaze over me. “How did you get here, Audrey?” he asks. He laughs softly. “Fair enough. I take it, then, that you’re not here for the ghosts?” he asks. “Most of them are.” He motions to the crowd in the ballroom. “They think so.” Elias pulls his tie from around his neck and tosses it aside. His hair has fallen forward again, and I think he looks more casual, more approachable. It makes him that much more attractive—a sneak peek at his real life. “Who are you without that suit?” I ask. Elias’s eyebrows raise, and I nearly trip over myself to explain my words. “I don’t mean naked! I mean in life. Not with a suit—oh, God.” My cheeks warm with heat, and soon I’m laughing. To his credit, Elias nods along with my words, as if truly curious about my thought process. I swat his shoulder, and then we’re both grinning, oblivious to the concierge until he clears his throat beside us. He shoots Elias a quick frown of disapproval before addressing me. Elias sips calmly from his drink. Does he get carded? Does the hotel care if he, any of us, is underage? And then I wonder what business it is of the concierge that I’m not in bed, tucked under the covers. I hate being scolded, and this feels very scoldy. “I do not,” I respond. I curl my lip at Elias as if asking what the deal is with Kenneth, and then start toward the exit. I half turn, my heart thumping hard. I don’t respond, afraid he’ll hear it in my voice—the grief, the absolute dread of the next step. I’ll only be at the Ruby for a day, and then I’ll be shipped off to my grandmother. To be honest, tonight was the first real fun I’ve had in ages. I don’t want to spoil the mood by letting anyone in on how damaged I am. So I just wave and then zigzag through the crowd back to the doors. As I leave, my eyes are drawn back to Elias. He sits alone in the alcove, dressed the part but still out of place somehow. His mouth is downturned as he stares into the dancing crowd, glass in hand, like he can’t stand being here at all. My hallway is quiet, so stuffed with quiet it’s almost hard to breathe. I go into my room, toss my keycard on the dresser, and launch my flip-flops somewhere under the bed. My head is swimming, and I quickly grab the first pair of pajamas I can find. They’re soft and worn through the knees, and I switch off the light and climb into bed. I stare out the window at the golden trees, lit from below by the hotel lights. It’s so peaceful here. My head sinks into the pillow, my eyes growing heavier with each blink. I’m exhausted from the trip and have a dull ache in my arm. I reach to rub the underside of my forearm, but the scene is slowly fading away. I think about the party, about Elias. The way he tried to hide his smile behind his glass, the golden hue of his eyes as he slid them over me. I can imagine the sort of tour he would have taken me on. It probably would’ve ended in his hotel room. I’m not sure I would have minded that. I curl up and snuggle into the pillow like it’s a person holding me. I picture his arms around me, the beat of his heart under my hand. I pretend it’s Elias, warm and comfortable. “How did you get here?” he asks again. Just three months after their mother’s death, seventeen-year-old Audrey Casella and her older brother, Daniel, are on their way to live with their maternal grandmother near the Nevada mountains. Their grief-stricken father has become unable to care for them, and he decides his children will be better off without him. On the drive through the mountains, the family stops at a hotel for the night. Hotel Ruby is beautiful, with its burgundy patterned floor, dark wood paneling, and opulent chandeliers. The elegant guests roam the gardens, bask in the ever-present sun at the pool, and, if one is fortunate enough to receive the black invitation, dance the night away at the exclusive evening party in the ballroom. Without an invitation of her own, Audrey joins the hotel staff on the rooftop, catching whispers about the hotel’s dark past. The more she learns about the new people she’s met, the more her curiosity grows. Audrey is torn in different directions—the pull of her past with its overwhelming loss, the promise of a future that holds little joy, and an in-between life in a place that is so much more than it seems. 1. How does each member of the Casella family respond to grief? Do any of them seem to be dealing with their mother’s/wife’s death in a healthy manner? What are some healthy ways to deal with tragic loss? 2. Audrey struggles with the fact that she kept dating Ryan even after she knew she no longer loved him. Why did she continue the relationship? What would be the right action to take with someone with whom you have fallen out of love? 3. Why do you think Audrey feels more of a connection to Elias than she did with Ryan? 4. Daniel can’t get a signal on his phone even though he has seen others using their phones and no one ever seems to know the time. What other strange moments happen in the Ruby that strike you as unusual? 5. The Ruby Mountains are in Elko, Nevada, so it is likely that the name of the hotel and the title of the book came from the mountain range. 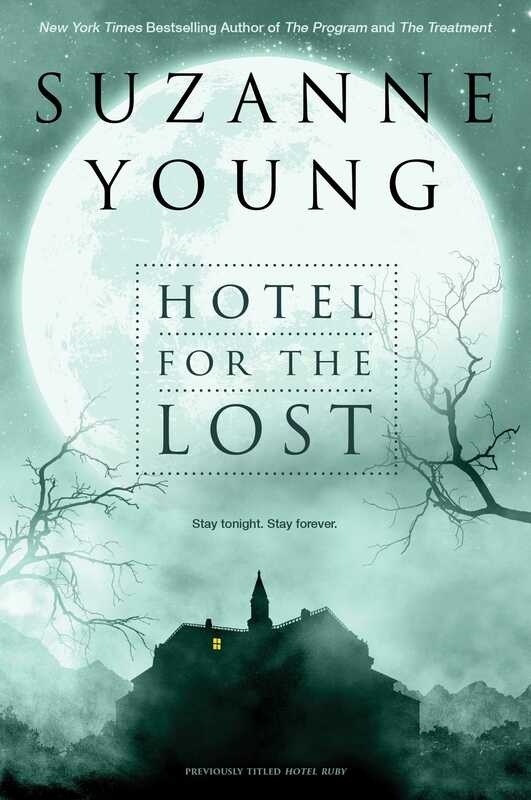 Why else might Suzanne Young have named the hotel and novel “Ruby”? 6. How does the interior of the Hotel Ruby add to the creepy atmosphere of the novel? Are there some specific details that can be found in a typical horror story? 7. Describe Catherine. What seems to be her motivation early on in the book? Does her behavior change throughout? 8. Lourdes and the other staff aren’t invited to the party in the ballroom. Lourdes asks Audrey to join them for a party on the roof. Even though they’re strangers, why does Audrey say yes? Which party would you have rather gone to? Why? 9. Why is everyone scared of Kenneth, the concierge? Is there a difference between how he treats the guests and the staff? How does he control both groups? 10. What is the significance of the thirteenth floor? 11. What song do you think Audrey hears throughout the book? What is its significance to the overall story? 12. How does Audrey’s relationship with her father change throughout the book? 13. Do you think Daniel is a good brother? What were some examples of how he tried to look out for Audrey both before and after they came to the Ruby? 14. What ultimately happens to Kenneth and what does it mean for Audrey? 15. Audrey has to make a devastating choice at the end of the book—would you have made the same decision? 16. Describe the day after the party at the end of Hotel Ruby. How do you think the story continues? 1. How do you imagine the Hotel Ruby to look? Draw the lobby, ballroom, or another place in the hotel that you think added to the atmosphere of the story. 2. Pretend you are making a movie of Hotel Ruby. Make a playlist for the different scenes. What song would be the one that Audrey keeps hearing? What music would be playing in the ballroom or the dining room? What music would you choose for the violent scenes or scary ones? 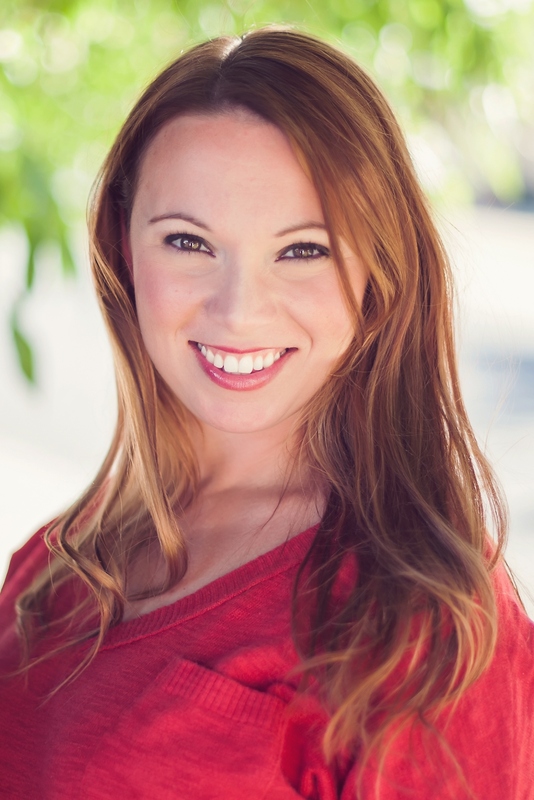 Guide written in 2015 by Shari Conradson, an English, drama, and history teacher at Brook Haven School in California. "Prepare to be spooked and romanced as you attempt to unravel the mysteries of Hotel Ruby!" the dreamy Elias. But when Audrey learns the real reason people stay so long at Hotel Ruby, she’s forced to make a difficult decision: Does she want to stay forever, too? With an engrossing plot that keeps readers guessing and an enigmatic romantic lead, Young’s latest is sure to please her fan base. Audrey’s struggle to reconcile her life in the wake of losing her mother is palpable and adds weight to the story. Haunting and hard to put down. "Young accurately captures each resident’s grief, thus populating her novel with three-dimensional characters whom readers will appreciate."